Brian ‘Bro’ Brosdahl- Minnesota, Bro’s Guide Service, pro staff for Frabill, Northland, others. 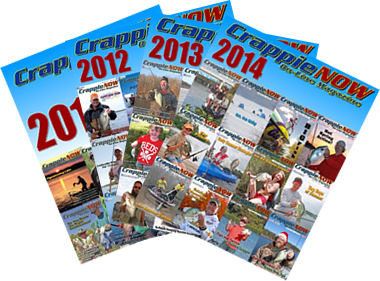 Q: What are the go-to colors for crappies? A: No such thing as a #1 color for all lakes. That being said pink-white and blue-white are my confidence colors on just about every body of water I fish. Q: Do you use both artificial and live baits? A: I used more live bait in years past. I use more plastics today than live bait because of the advances with plastics and scents. I especially like the Impulse Line of plastics. I will downsize this time of year. 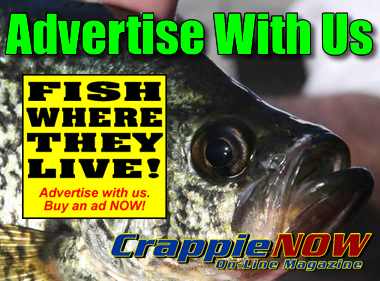 Q: What has been the biggest game-changer in crappie fishing? A: It’s Humminbird’s Side Imaging. I find more brush piles and other unique features. I find schools of crappie without driving the boat over them. 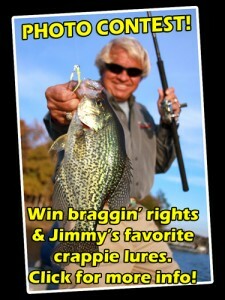 Barry Morrow-Missouri/Oklahoma fishing guide, MRO Crappie Academy, Lindy pro staff. Q: What color of plastics do I use? A: When fish are active it doesn’t matter. But when color makes a difference it usually makes a big difference. Choice of color depends on many conditions like water clarity, sunlight, and cloud cover. In general, the darker the water the darker the bait. Dark water picks are black-pink, black-blue, yellow-black and orange-chartreuse. Clear water means more natural bait colors like pumpkin-chartreuse and pearl-chartreuse. I like black-chartreuse in any water. 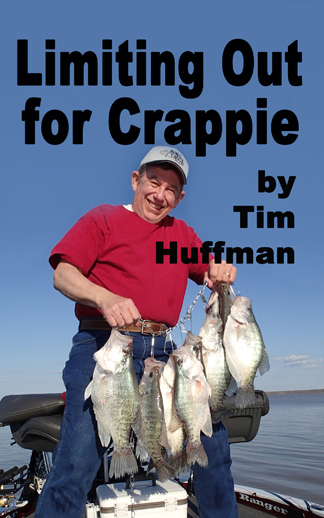 Q: What is my favorite method of catching crappie? A: Jig fishing standing timber, stumps and laydowns. Nothing beats feeling a crappie “thump”. My second choice is slip-cork fishing like I did while growing up. Q: An odd question was if I had fallen out of the boat while fishing? A: I fell in once, but that wasn’t my only time in the water. The craziest time was fishing Lake Ozark, Missouri, late fall and nobody on the lake. It was windy, cold, late afternoon and I was by myself. I tied my boat to the dock with a crappie brush clamp and went to back my trailer down the ramp. The rope broke and my boat floated to the middle of the small cove. Yes, I stripped down to my shorts and retrieved my boat. Moral of the story, always tie your boat with a heavy rope.